I’ll jes’ set down and wait. If you don’t watch out, he’ll conjure you." 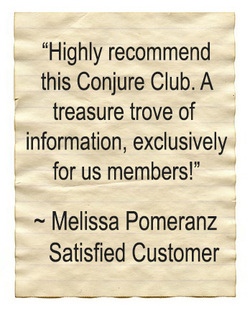 Creole Moon's Conjure Club is the ideal solution to anyone who is concerned about continuing their conjure education on a regular basis. The best practitioners are always open to learning new things, seeking alternative points of view and a variety of perspectives to enhance their understanding of the conjure arts and to enrich and improve their skills. Our ebooks and downloads give you just that - information on a wide variety of topics that are not only the normal inquiries for tips and tricks, but also little known information our authors learned from growing up in the deep South and from a variety of anthropological and folkloric resources. Our sources of information include word of mouth from real practitioners and elders, family, friends, and a variety of anthropological, folkloric and literary sources. 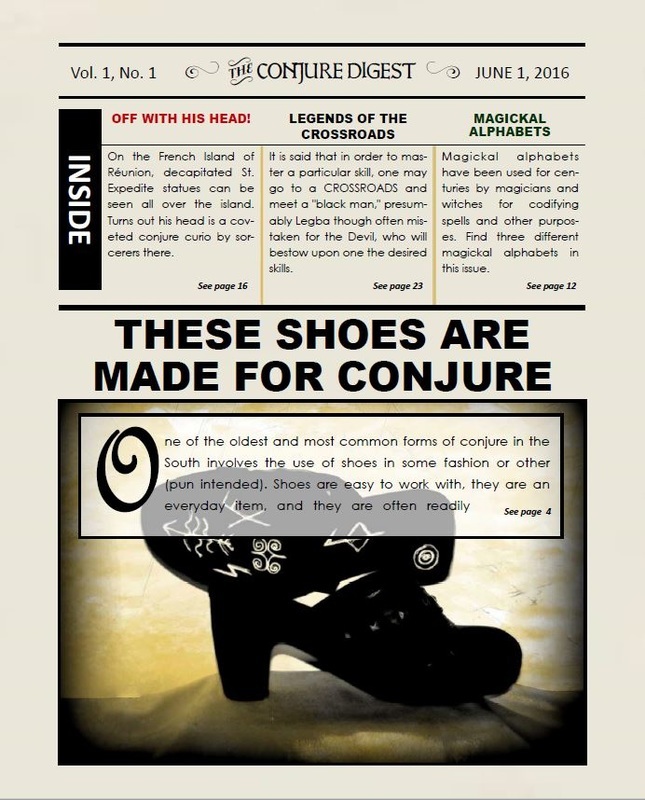 The editor has spent thousands of hours locating and reading out of print books and journals, and compiling information from those sources as well. Our downloads include references for those serious students of conjure and for individuals seeking to broaden their knowledge base even further. The primary author of the Conjure Club documents is Denise Alvarado. 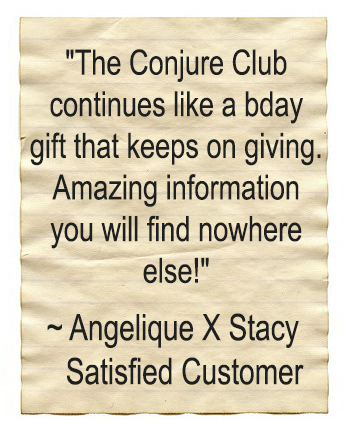 Other core contributors for Conjure Club are people who were born and raised in the Southern United States, and who were immersed in conjure traditions as members of Southern culture. This gives us a unique perspective that can only be seen and experienced from within the culture. Our mission is to report on our observations in an effort to preserve our cultural traditions. Are you ready to learn more and join this exclusive club?